Heard: Word around the industry is that Olympus Labs is developing a brand new natural anabolic to replace Or1gin, the muscle gainer they released just last year due to promising research. The product, code name: K1ngs Slayer, is so named for its promise to dethrone all those that came before it. 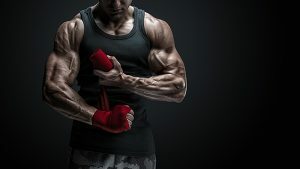 2018 appears to be the year of lean muscle gain as in just the first few months there’s been no shortage of new and improved natural anabolics to hit the market. As research into the latest botanical compounds continues to grow, the list of added benefits with each new compound is forcing older ones to be replaced just to stay relevant. Or1gin contained a compound called Robuvit® (French Oak Wood Extract), known for its recovery and performance enhancing properties (1), that this new product has completely replaced. Instead, K1ngs Slayer is rumored to include an ingredient we haven’t seen much of before: Korean Mistletoe Extract (KME). KME has been shown to aid in not just increased IGF-1 receptor signaling and hypertrophy (muscle gain), but also in reduced atrophy (muscle loss) (3, 4, 5). It also has ties to increased performance and endurance by stimulating mitochondrial activity (2), meaning less fatigue to get you through the tougher workouts. The promise of KME alone is quite innovative, and Olympus Labs has thrown in three other ingredients to add an intriguing level of value. K1ngs Slayer is said to include Hesperidin, Gentian Root Extract, and Atractylodin, three of the main ingredients which made Or1gin so effective in the first place. While we don’t have a set release date for K1ngs Slayer, we are told that it has been sent to the testing phase and we should receive user feedback any day. 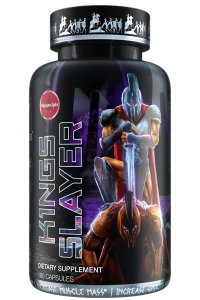 Subscribe to Strong Supplement Shop for more updates about K1ngs Slayer and other new products the moment they become available.